The Protestant Christian Church in Bali empowers youth to break the cycle of poverty. Many congregations in the Christian Reformed Church in North America (CRCNA) and the Reformed Church in America (RCA) have expressed a need for renewal. Enter the Reformed Partnership for Congregational Renewal, a collaborative effort between the CRCNA and RCA to focus on equipping and supporting congregations as they journey through renewal. 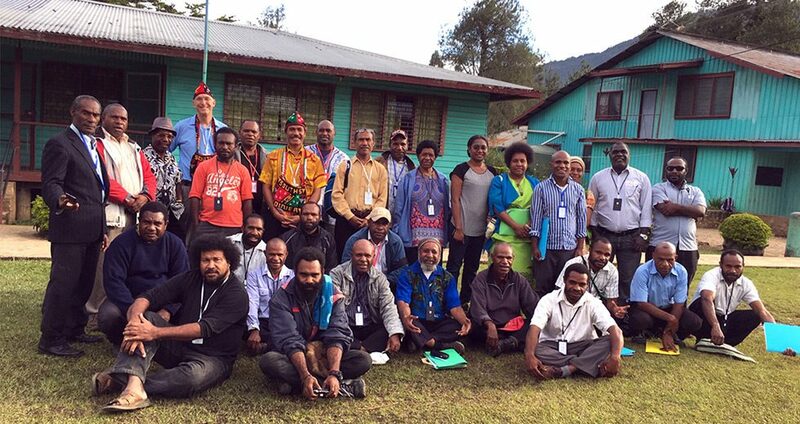 Stephen Robinson, national disaster recovery officer for the Uniting Church in Australia, shares his experiences in Papua New Guinea training people in disaster recovery, trauma counseling and peacebuilding. When Najib and Nurhan Kahya arrived with their children in Canada, the first thing they asked was, “Will we be safe here?” As Syrian refugees who have experienced the horrors of war and the uncertainty of living without a home, their safety was a never-ending concern. AIPRAL shares a prayer of confession of a man, which can be used in worship services to think about both the faults and real commitments of a church and a more just society for all women. A free e-book from the World Association of Christian Communicators compiles essays on critical issues facing communications and social justice. Twenty years after the signing, the five Christian communions of the world discuss the impact of the Joint Declaration on the Doctrine of Justification by Faith and explore paths towards closer unity.